What are FRP wear pads used for? 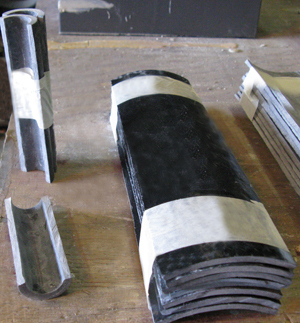 | Piping Technology & Products, Inc.
What are FRP wear pads used for? FRP wear pads are used as corrosion protection on uninsulated pipes and can be secured to FRP pipes to provide an extra layer of pipe and thereby extend the life of the pipe. FRP wear pads also eliminate metal to metal contact between the pipe and its metal supporting structure.